Working together since 2002, Steve Oberman & Sara Compher-Rice form a cohesive team sharing legal knowledge, scientific developments and innovative trial techniques unique to Tennessee DUI defense. Many have referred to our practice as a boutique law firm. In other words, rather than offer general legal services, our practice is focused in a particular area of law—in our case, on the defense of those accused of Driving Under the Influence (DUI) and other related crimes (such as Implied Consent Violation, Underage DWI, Boating Under the Influence (BUI), Underage Consumption, Drug Possession, or Traffic Offenses). We recognize the particular difficulties experienced by those who hold a Commercial Motor Vehicle (CMV) driver’s license when they are charged with DUI, Speeding and other CMV Traffic Offenses. Steve Oberman has been practicing law, primarily as a Tennessee DUI lawyer, since 1980, when he began his practice with W. Zane Daniel, John J. Duncan Jr., and Glen Claiborne under the firm name of Daniel, Duncan & Claiborne. In 1986, after John J. Duncan Jr. served Knox County as a Criminal Court Judge and later as our U.S. Congressman, Zane Daniel and Steve Oberman founded their own firm, Daniel and Oberman. 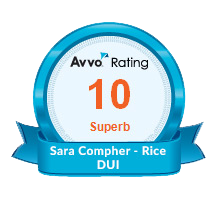 Sara Compher-Rice joined the firm upon her graduation from law school to assist Steve while developing a practice of her own as a DUI attorney in Knoxville, TN. Following the death of Zane Daniel in 2006, Mr. Oberman established a new law firm with his valued associate, Sara Compher-Rice. Recognizing Sara for her valuable contributions, The Oberman Law Firm was renamed in 2010 and is now proud to be referred to as the Oberman & Rice law firm. The mission of Oberman & Rice is to zealously represent our clients while maintaining the highest standards of professional responsibility and ethics. Of equal importance, our lawyers and staff strive to provide exceptional service to our clients and pride ourselves on prompt and thorough communication with our clients. 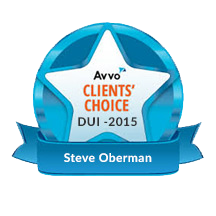 To achieve this goal, Steve and Sara limit the number of DUI defendants they represent to ensure that each client receives the personal attention they deserve. Many Tennessee DUI lawyers saturate the advertising market with billboards, yellow page ads, and direct mailings. They accept every case with the singular goal to make as much money as possible. Steve and Sara are proud to receive the majority of their cases from referrals from prior satisfied clients and their friends, lawyers who practice in fields other than DUI defense, as well as from judges and police officers. The Oberman & Rice law firm philosophy is to provide our clients with the best legal representation possible and to exceed our clients’ expectations. This does not mean we win every case, but it does mean that we will return every phone call and be available to meet with you as many times as you like. We believe that we get the best possible results by working with our clients—not just working for our clients. This also means we will be fully prepared at every stage of your case and will spend the extra time and effort necessary to stay current with legal and scientific developments that may make the difference in an acquittal or conviction. Unfortunately, this also means we cannot accept every client who wants to hire us. While part of the interview process is, of course, whether you want to hire us, we also evaluate each case to determine if we believe we have a reasonable chance of achieving your goal(s)—usually to keep a DUI conviction off of your record. If we do not believe we can accomplish your goal(s), we will politely decline your case. Perhaps the greatest benefit of the Oberman & Rice law firm is we believe that a “team approach” is the most effective means of achieving success. Regardless of whether you hire Steve or Sara (whose fees are generally less expensive than Steve’s), you can be assured that your case will be reviewed, discussed and analyzed by both lawyers and their investigator in detail before going to court. Steve and Sara have handled cases from the General Sessions Court (the lowest of the courts in Tennessee) all the way to the Tennessee Supreme Court. In fact, in 2008, Mr. Oberman argued a DUI case before the Tennessee Supreme Court. The Court unanimously agreed with the legal analysis of Mr. Oberman and Ms. Compher-Rice, agreeing with the lower court’s dismissal of the Driving Under the Influence case. To read the Court’s opinion, please click here.